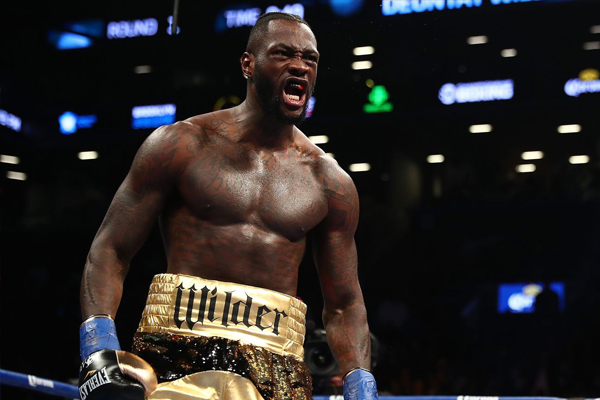 Deontay Wilder offers a lot to get heavyweight boxing fans excited. At 6’7″ and with an imposing wingspan of 83″, he resembles the sort of freak athletes one normally finds on an NBA court these days–indeed, when boxing people complain that the best large athletes in America today get siphoned off into football and basketball, Wilder is the sort of specimen they are imagining. On paper, his record looks fantastic–39-0 with 38 coming inside of the distance. But that record is far less impressive on closer examination. Nearly 40 fights and decade into his professional career, Wilder has faced a single opponent who ranked inside of the top 10. Just how uninspiring his resume is came home to me as I contemplated this column. As noted, he has defeated a single top-10 opponent: Bermane Stiverne. When Wilder defeated Stiverne by UD in January 2017 to claim the WBC trinket Stiverne was coming off from back-to-back victories over Chris Arreola. At his best, Arreola was an always-game, hard-nosed fighter and Stiverne’s one-sided UD win and Round 6 TKO were good, solid wins. But let’s be clear: Arreola was hardly an elite talent. Beating him twice was good enough to push Stiverne somewhere inside of the division’s top 10. It hardly demonstrated that he was anything truly special. After Stiverne, Wilder’s resume really lacks anything of note. Artur Szpilka forced Wilder into an action-packed brawl in January 2016 but Wilder was able to bring it to a quick conclusion when he knocked Szpilka cold within the last 30 seconds of Round 9. Szpilka is a tough contender–at the time he fought Wilder, I would have put him in the top 20 or so. He was a good test for the would-be Heavyweight Champion. He pushed Wilder into an uncomfortable fight and Wilder was still able to win the majority of rounds. And he demonstrated beyond a doubt that his punching power can give him a quick out in any tough fight. This weekend in Brooklyn Wilder will get his reality check. We have been waiting years to see Wilder face an opponent like Luis Ortiz–a true, elite heavyweight contender. As a product of the vaunted Cuban amateur program, Ortiz cut his teeth on international competition. Like Wilder, Ortiz’s resume does not exactly inspire awe–although his Round 7 TKO of Bryant Jennings is more impressive than anything Wilder has done.